The halls of Pinterest are flooded with people who love to do home improvement projects themselves. What people don’t like to post are the fails – the experiments that went wrong because they lacked the experience to do it right. Chances are you have considered the possibility of building your own custom closets. However, you may be surprised to learn that DIY does not usually save you time, money or make you happier with the end result. When you do a project yourself, you spend time away from family, friends and work obligations. Building cabinets and shelves yourself leaves you stuck trying to manage melamine boards in excess of 7 feet in height. Some materials are so heavy that you cannot do it all by yourself. A custom closet company has the ability to hire several workers to make a lot of work happen in just a couple of days, for your safety and convenience. There are two ways to look at the money you spend on your closet: cost and investment. Cost is the money you have to pay for materials and possibly labor, while investment is the value you get from the project. DIY jobs often cost less to build, but have a lower investment value because they are more likely to fail or break. Even if you go for DIY kits with high-quality materials, you may waste money by damaging them during installation. They also keep expenses and plans up front, unlike DIY arrangements. Professionals will often give you a free consult and estimate on the work you want to have done. That means that you can compare companies and decide on the closet designer that is right for you, before you have spent one cent. You need a professional to make sure that your custom closets are properly installed. You have to know that the cabinets and shelving will not collapse, and that the hanging rods will support a load of clothes. This takes an experienced professional hardly any time at all, as little as 1-2 days. With DIY, you get far fewer choices in materials. 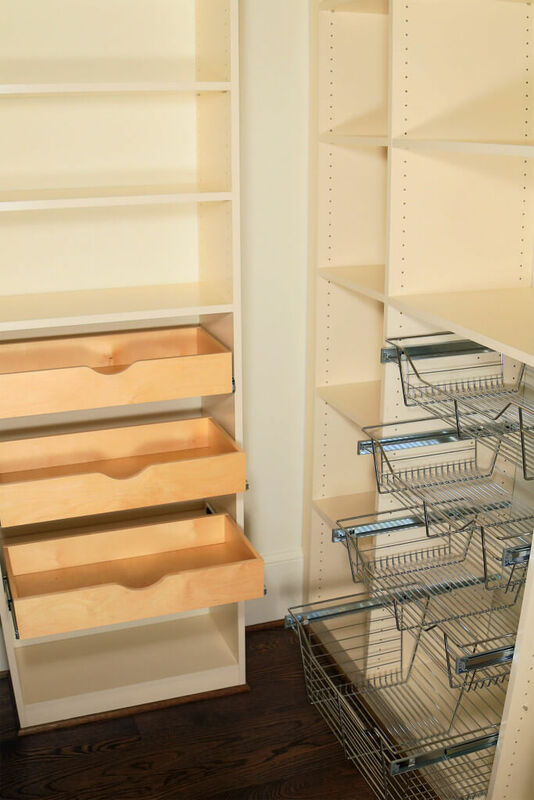 Professional custom closet companies offer thicker shelving and a wider variety of colors and finishes you could get otherwise. As an added bonus, closet designers usually offer a warranty on the materials. It seems like DIY closet systems are so much easier, but they aren’t. Once you add up the time, expense, design work, materials and installation, using a custom closet company seems like a bargain by comparison. Just remember to read about the 5 things to look for when hiring a custom closet company to ensure that you are working with professionals. Let us know when you are ready for the closet of your dreams, and one of our experts will be happy to provide you with a free quote.